In early 2019, Pokemon Go introduced a Snapshot feature, which allows players to take pictures of the Pokemon they have in their collection and share them with friends and family on social media and beyond. 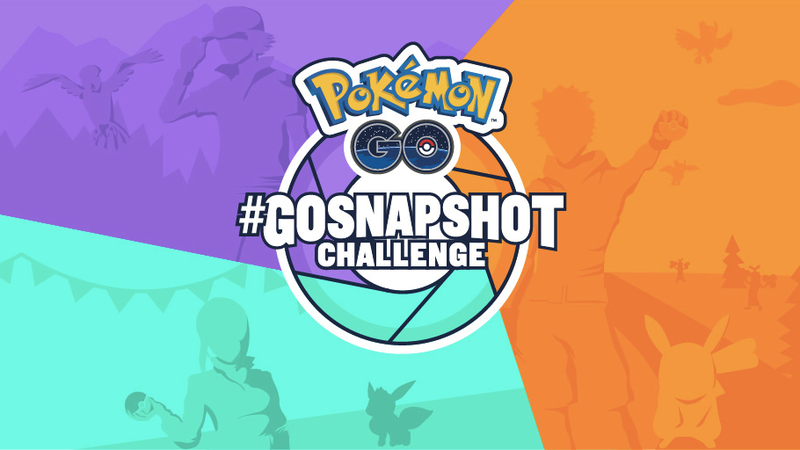 Now, Niantic, the developer of Pokemon Go, is encouraging players to show off their Snapshot photography skills for a chance to win some exciting prizes. The #GOsnapshot Challenge is split into three different timed “Adventures,” which will ask players to share pictures fitting a certain theme to social media. Adventure No. 1 is called the Buddy Challenge, and it will ask players to take pictures that show off “the connection between them and their Buddy Pokemon.” Adventure No. 1 will run from April 15 to April 24. Players can enter the challenge by posting up to three entries on Instagram or Twitter along with the hashtags #GOsnapshot and #BuddyChallenge. Adventure No. 2, the Habitat Challenge, will run from April 29 to May 8. It will ask players to take pictures of Pokemon in their natural habitats (for instance, take a picture of a Water-type Pokemon near water). As with the first Adventure, players can enter by posting up to three photos on Instagram or Twitter with the hashtags #GOsnapshot and #HabitatChallenge. Finally, the third Adventure is called the Go Create Challenge. It will encourage players to show off their most creative photos. The third Adventure will run from May 13 to May 22. Players can enter by posting up to three pictures on Instagram or Twitter along with the hashtags #GOsnapshot and #GoCreateChallenge. In a blog post, Niantic said a grand-prize winner and two runners-up will be selected for each challenge “based on the originality, creativity, and visual fun of their snapshots.” The runners-up will win a special PokeStop in Pokemon Go, which will show off their winning photo (the PokeStop will remain in the game for no less than three months). The grand prize winner for each of the three challenges will also receive a special PokeStop, along with a paid trip for two to a Pokemon Go Fest of their choice in 2019 (includes travel, lodging, and tickets). Pokemon Go Fest events will take place in Chicago, Dortmund, Germany, and Asia this summer.